SherAli Tareen, Assistant Professor of Religious Studies at Franklin and Marshall College, was awarded an American Academy of Religion’s 2014 Individual Research Grant. He talks to Religious Studies News about his project Islam, Tradition, and Democracy: The Case of the Deoband Madrasa. 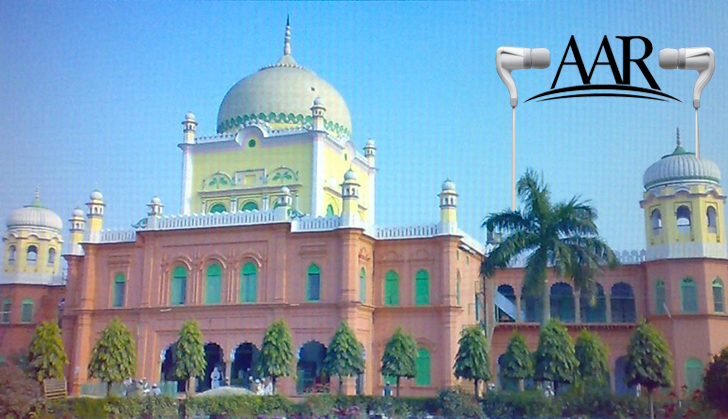 Image: Darul Uloom Deoband Madrasa, located in Uttar Pradesh in the northeast India. Photo by Bakrbinaziz via Wikimedia Commons.